So, don't panic, but scientists have now officially found a link between BPA and cancer. 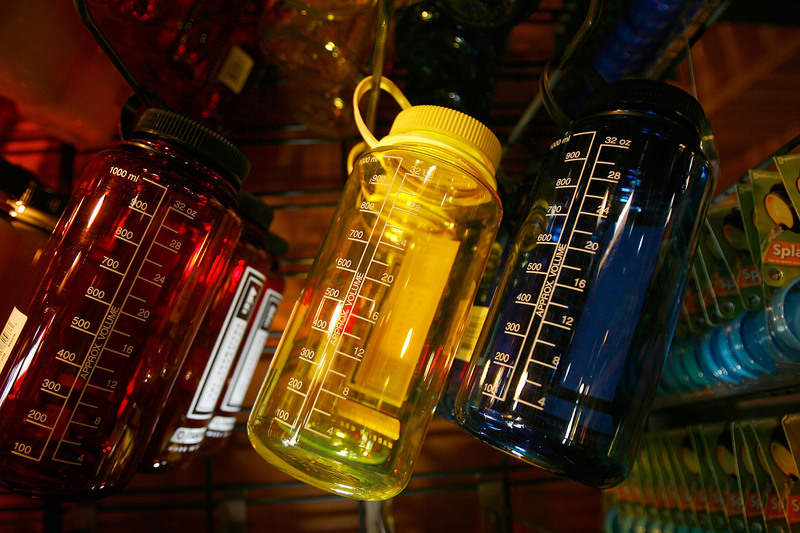 BPA, a chemical found in lots of things but most relevantly in water bottles, has long been known to be bad news, but a new study shows that in addition to making people more susceptible to other carcinogens, BPA may be a carcinogen in its own right, too. Which is obviously not good at all. Oddly, this potentially game-changing study out of the University of Michigan School of Public Health didn't set out to find a link between cancer and BPA at all, but to further investigate the chemical's effect on obesity. However, after the mice who had served as test subjects were euthanized and autopsied after 10 months of BPA exposure, the scientists were surprised to find that 27 percent had liver tumors, and the more BPA they'd been exposed to, the more likely they were to have the tumors. Of course, one study is hardly definitive, and what's true in rats doesn't necessarily hold true when it comes to humans. But this is still pretty concerning, particularly coming not long after another study that suggested BPA might put men at risk for prostate cancer. If this keeps up, we might soon be faced with a large body of evidence that our water bottles are trying to kill us. BPA is found in a variety of products, mostly in containers that hold food or beverages, and evidence suggests that low levels of BPA can seep from the containers, ultimately being ingested by the consumer. Based on numerous other studies, the FDA currently says that these levels are not a threat to humans, but still, if you want to stay on the safe side, there are things you can do. Many water bottles now are made BPA-free and are labeled as such. You could also invest in a refillable glass water bottle, which is cooler and better for the environment anyway. If you want to be especially cautious, you can also avoid canned goods, since cans are often lined with substances that contain BPA. The best technique, though, might be to just to avoid microwaving your plastics or putting them through the dishwasher since heat can cause the plastics begin breaking down over time and releasing more BPA. Still, even though precautions never hurt anyone, the evidence here is far from conclusive. The researchers from the University of Michigan say that more than anything it calls for more research on the subject, not massive overhauls of how we store food. There are, as of now, no studies which directly link BPA alone to cancer in humans, so with any luck this is just a problem that rats have. Fingers crossed!